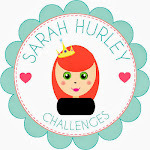 Sarah Hurley 365 (Formerly Sarah Hurley Challenges): Easy watercolour technique. 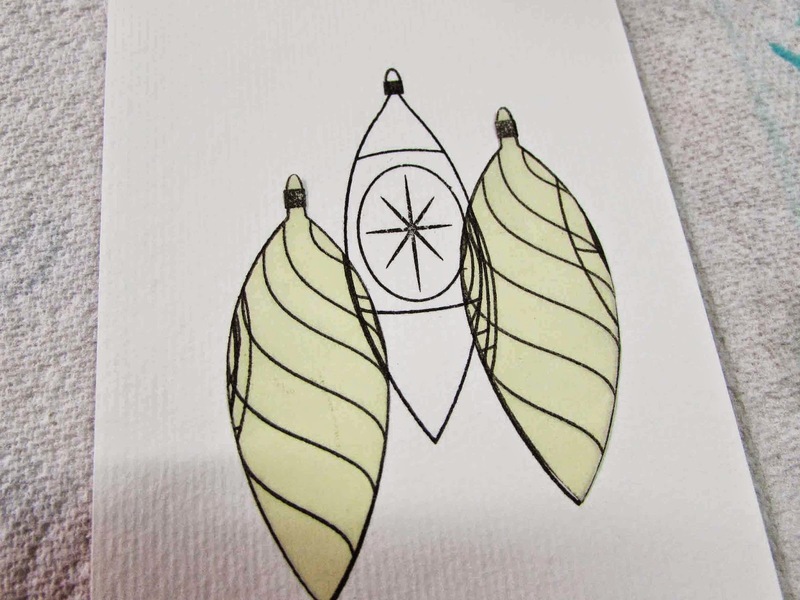 I love the look of watercolour painting, it's so soft and subtle and it's really easy to achieve the look in card making too. 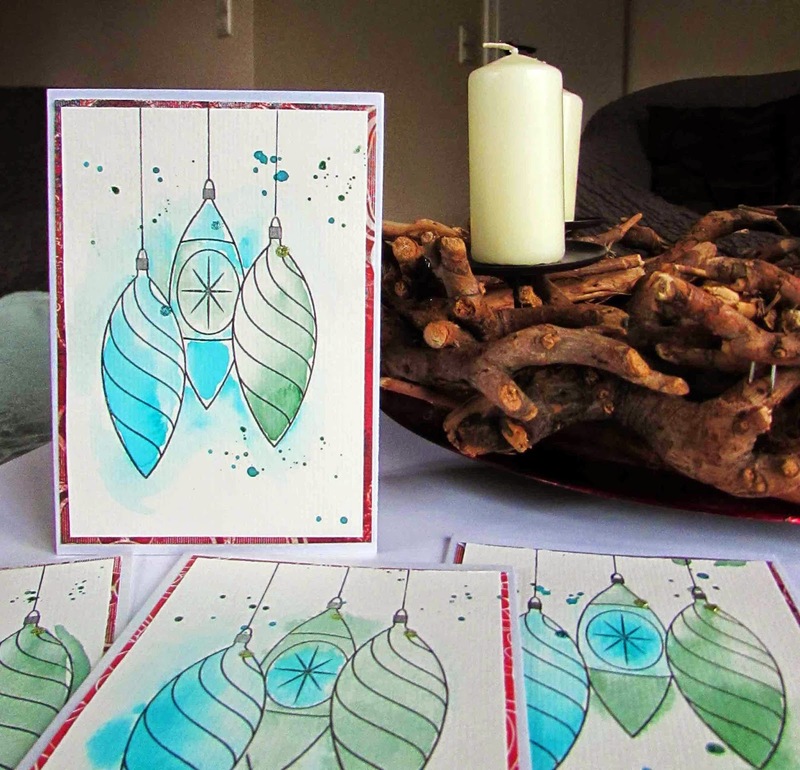 Here I've used my new Christmas stamps once again, these are called Traditional Christmas Ornaments. 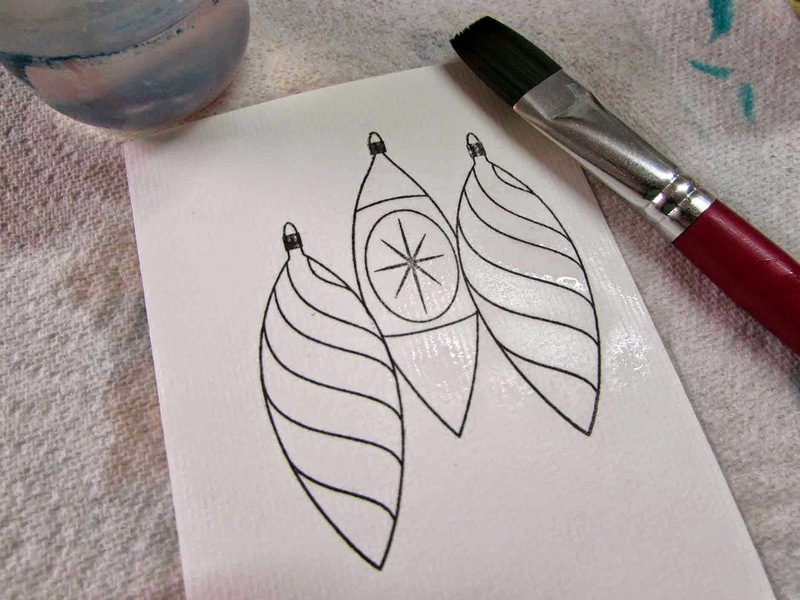 To start stamp one of the ornaments twice with a little gap between. 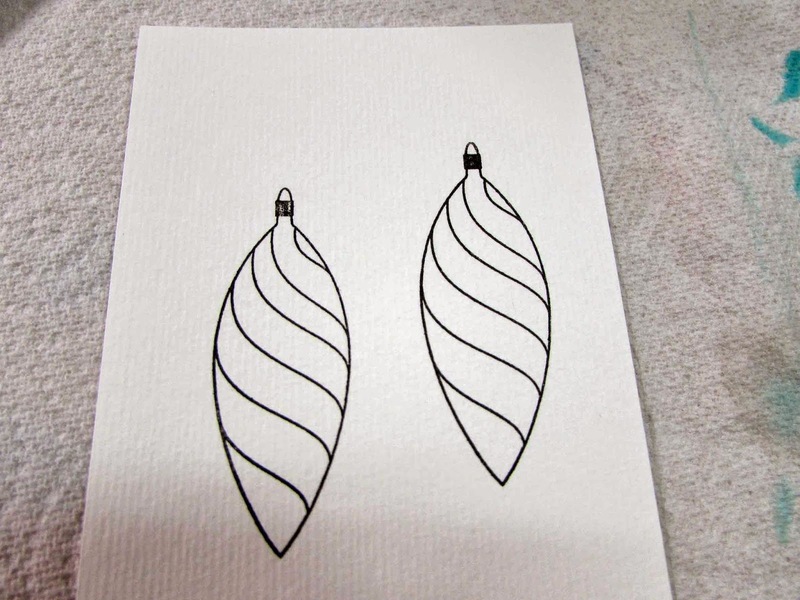 Use a water proof ink for this. Stamp twice more on a post it note to create two masks. With the masks in place stamp the third ornament. 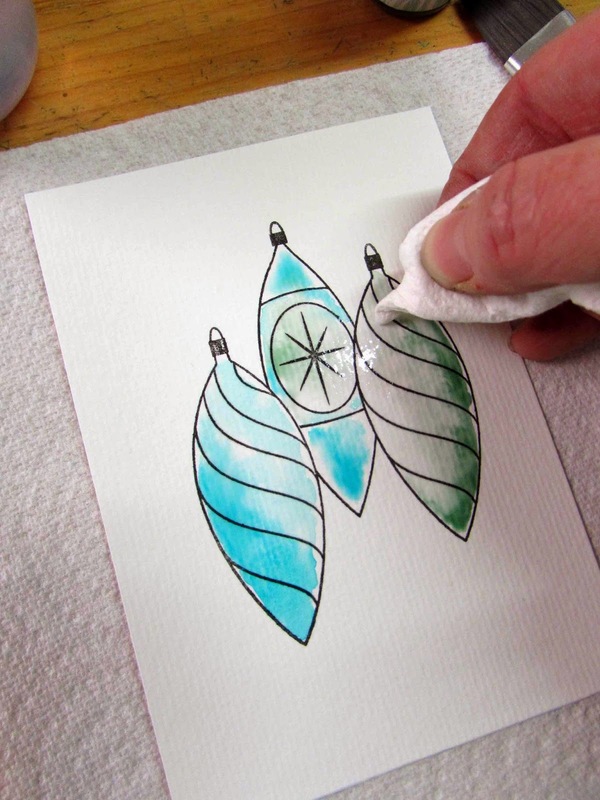 With a clean paintbrush, paint a thin wash of water over the whole paper. 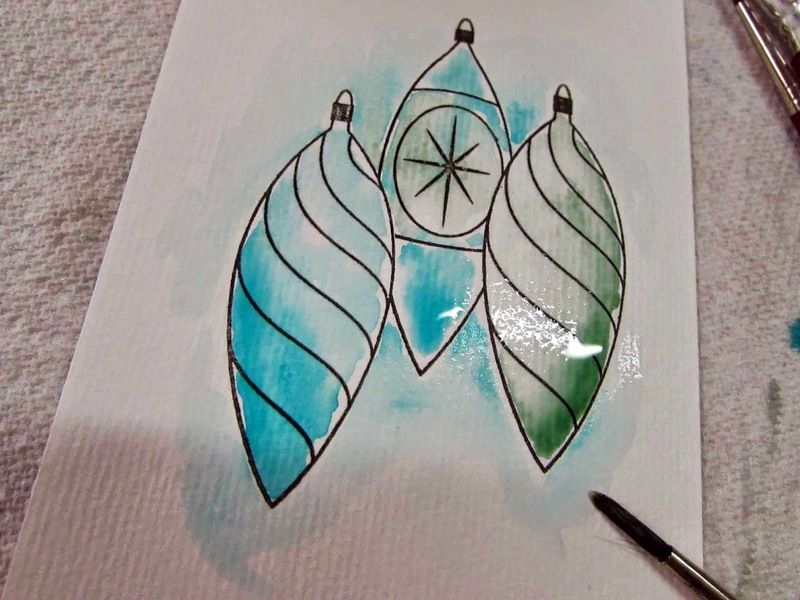 With watercolour paints or waterbased ink (I used my spray inks for this) touch the colour to the images, the paint will spread out on it's own. 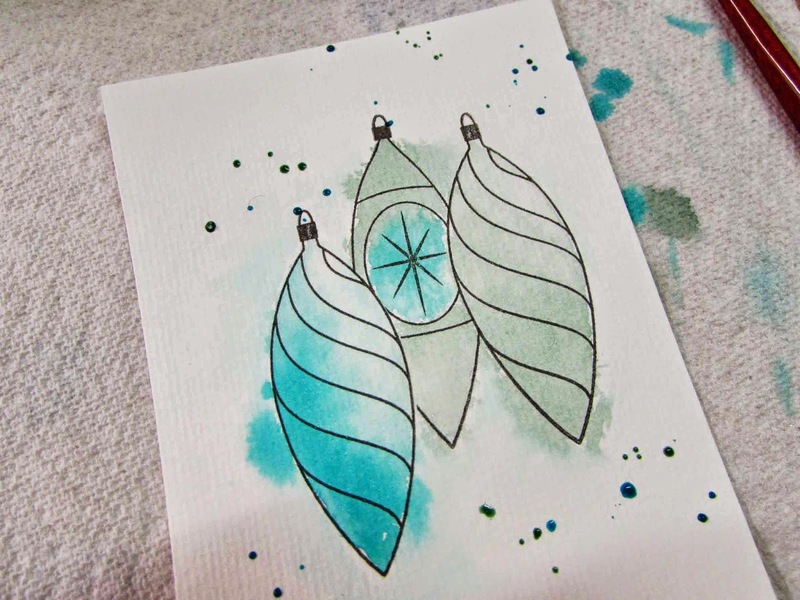 Any areas you want to leave lighter, simply blot up with a piece of kitchen paper. Watch as the paint escapes out from the border of the images. If the original wash has dried you can help the process along by painting clean water around the edges and the paint will follow it. 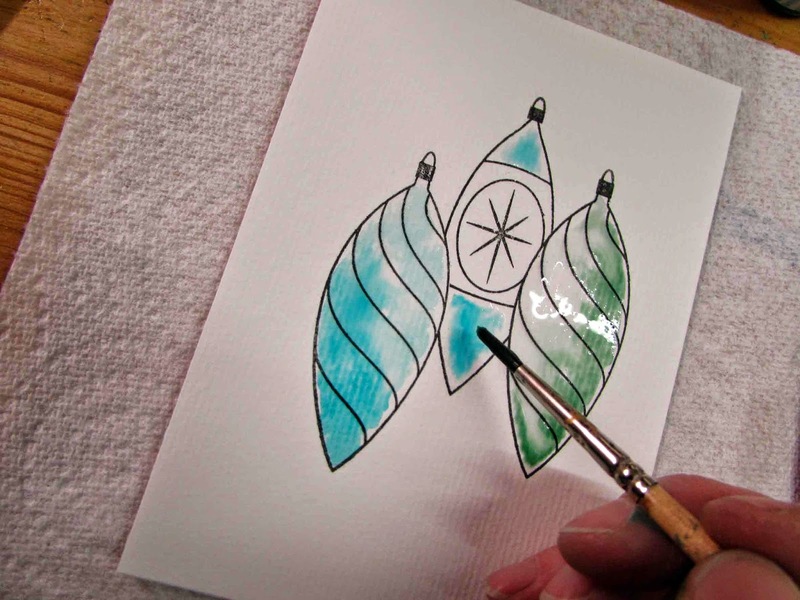 When it's dry, flick a few painty spots around the paper.